This 2019 Silver Eagle honors the 50th anniversary of Apollo 11, the first manned mission to the Moon and one of the greatest and most significant events in human history. Apollo 11 launched on July 16, 1969; on July 20, Neil Armstrong became the first person ever to set foot on the Moon. As he stepped onto the lunar surface from the “Eagle” Lunar Module, he said, “That's one small step for man, one giant leap for mankind.” Buzz Aldrin followed him moments later. The third astronaut, Michael Collins, remained in lunar orbit in the Command Module. The Silver Eagle is a genuine legal tender silver bullion coin struck by the United States Mint. It has been made each year since 1986, and is available in a magnificent colorized edition.The Silver Eagle is struck in one ounce of .999 pure silver and is the largest and heaviest silver coin ever struck by the U.S. Mint. It is even larger and heavier than a classic U.S. Silver Dollar, and it has a nominal face value of One Dollar – although its silver value and collector value far exceed its face value. The design is the famous “Walking Liberty” that first appeared on U.S. Silver Half Dollars from 1916-1947. This is one of the most beautiful coin designs of all time, showing Lady Liberty striding forwards in a flowing gown and wrapped by the American flag. The reverse shows a heraldic American eagle, together with the U.S. Government’s guarantee that the coin contains “1 Oz. Fine Silver” and the face value of “One Dollar.” Just a very small number of Silver Eagles have been set aside for this special colorized edition. Each coin is enhanced with the highest quality colorization in full life-like colors. 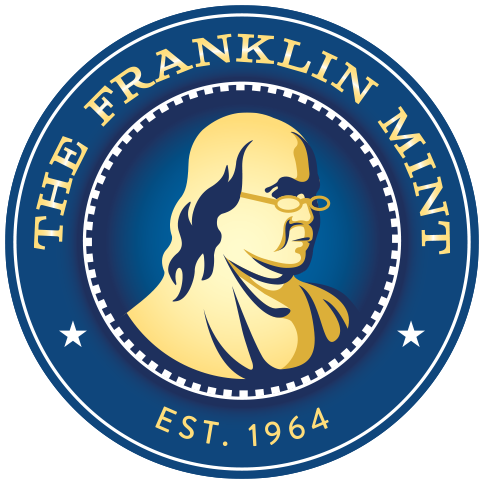 This colorized coin is not available from the U.S. Mint. It is a genuine Silver Eagle Dollar that is struck by the U.S. Mint, but the Mint does not have the capacity to enhance coins. 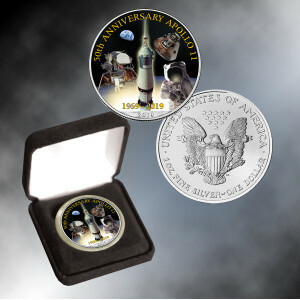 The coin comes in a deluxe presentation case with a Certificate of Authenticity.